Based on actual events, the story surrounds a fireman and public servant Mark Taylor who heard a special message from God about change in our nation. When Mary Colbert, a networker and connector of Christian ministries, heard Mark’s message she felt called to start a national prayer movement which grew to thousands of people across our nation praying together for the leadership of America and a return to the Godly principles we were founded upon. 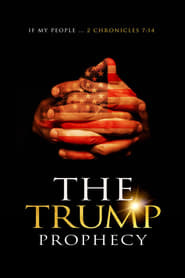 The Trump Prophecy tells the story of Mark Taylor and Mary Colbert through the election of 2016 followed by a reflective time hearing from leaders in various sectors of faith, business, finance, military, and world affairs who respond with their perspective on what it takes to make America great again.